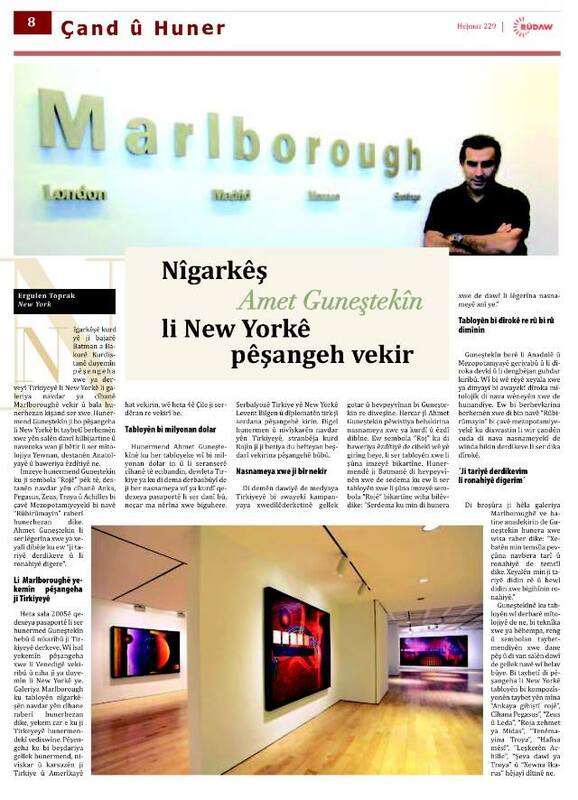 Gunestekin, who exhibits his works in many galleries all around the world, has been represented by New York’s Marlborough Gallery for two years. Most of his work is inspired by epics dating back to ancient times in Anatolia and Mesopotamia. Although he focuses on historic figures, he gives a universal message about life, humanity, peace, and gender equality. The sun, which he uses as a sign, is found in all of his paintings. “The sun is the source of my art. Sun is the life. It tells the eternal energy, and also it represents goodness,” Gunestekin exclaimed in Turkish. Gunestekin, who is a Kurdish artist from eastern of Turkey, was raised by parents who were not able to buy him painting materials. “I started to paint when I was 4-5 years old. I took my first painting class when I was 15 years old,” he said. Nowadays, Gunestekin is one of the most popular artists in Turkey. Not only Turkish media, but also international media, such as New York Times, Forbes Magazine, write about his work. Most of his works are about historical issues, epics, and recent massacres in Iraq and Turkey. One of his pieces, “Confrontation,” was about the 1988 Halabja massacre where Saddam Hussein used chemical weapons to kill over 5,000 Kurds in one day. In almost all of his works, the sun is depicted. Gunestekin says that the sun is what gives him his biggest source of energy. 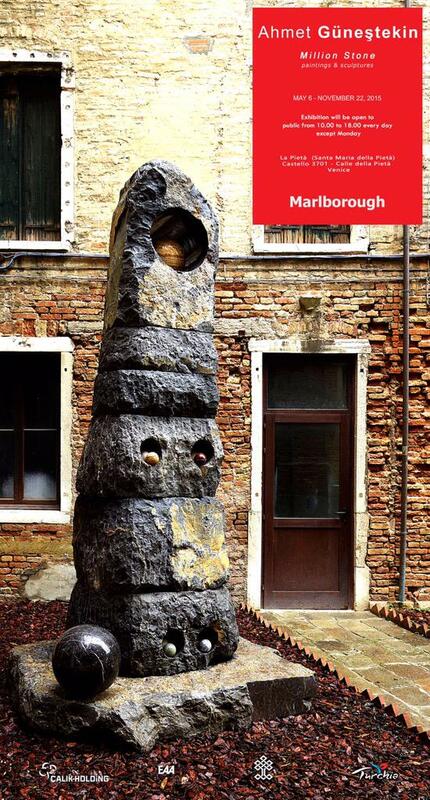 After Gunestekin started with the Marlborough Gallery, he participated in many international fairs such as Armory Show and Art Market, Arco Madrid, Art Basel, and Art Breda in New York, Venice, Miami, Hong Kong, Amsterdam, and many other cities around the world over the last year. “In these fairs, my works were exhibited and also acquired by international collections,” Gunestekin said. 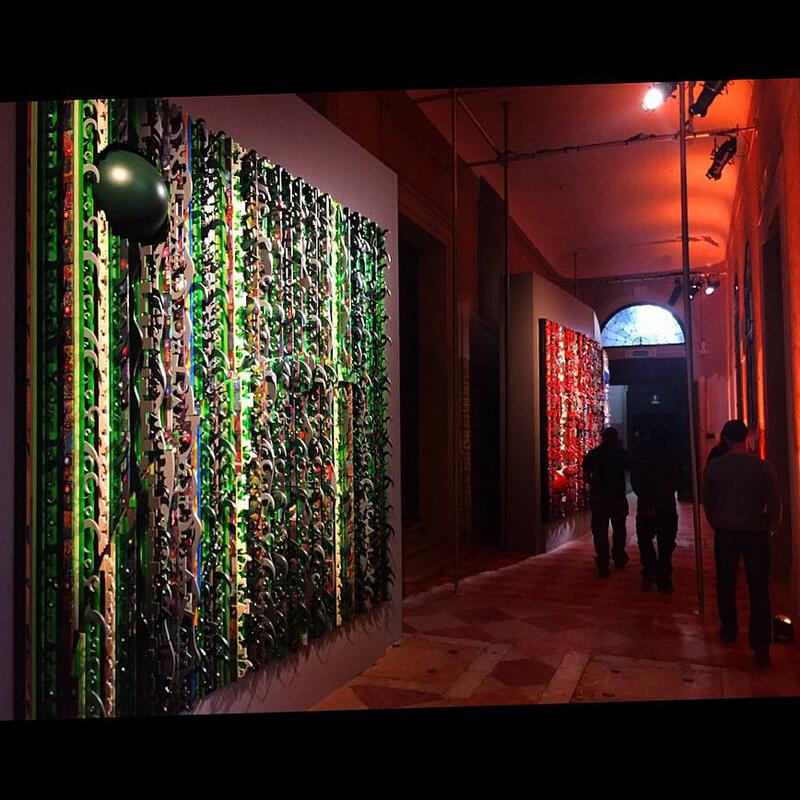 Gunestekin recently opened a new exhibition at the Venice Biennale. The new project, “Million Stone,” represents a historic stone in Istanbul. Million Stone was considered the center of the earth at the time of the Roman Empire and Byzantium. The exhibition can be visited until November 22. Gunestekin, who has his own art center in Istanbul, Gunestekin Art Center, will exhibit his next project in Barcelona at the end of this year.